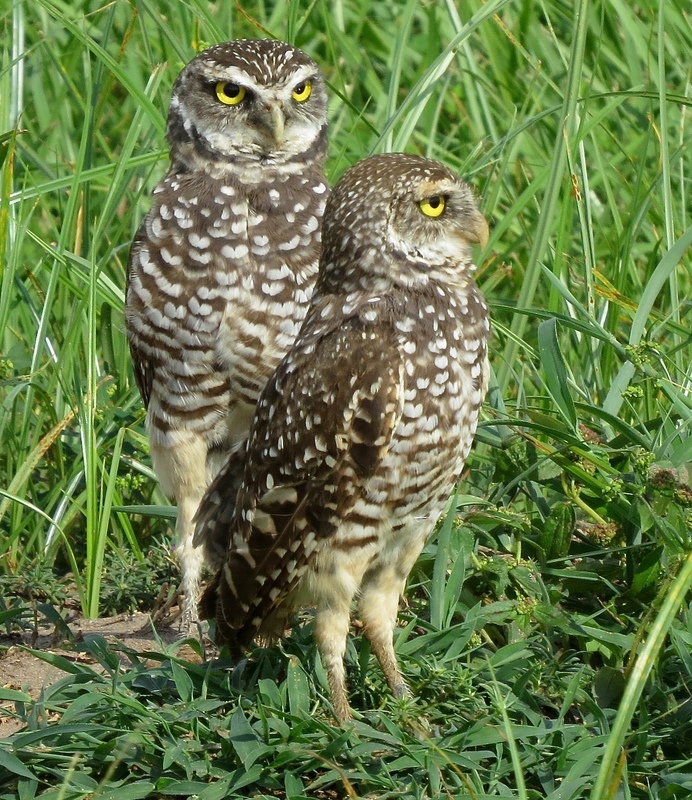 Last year, advocates for a family of Burrowing Owls that had made their home in a local school athletic field were successful in protecting them. The burrows were roped off and marked, and the district re-scheduled games scheduled for that field to a new location. This year the Burrowing Owls are back! They are a ‘species of special concern’, “protected from harassment and/or disturbance by state law” (FFWC) and by the federal Migratory Bird Treaty Act. 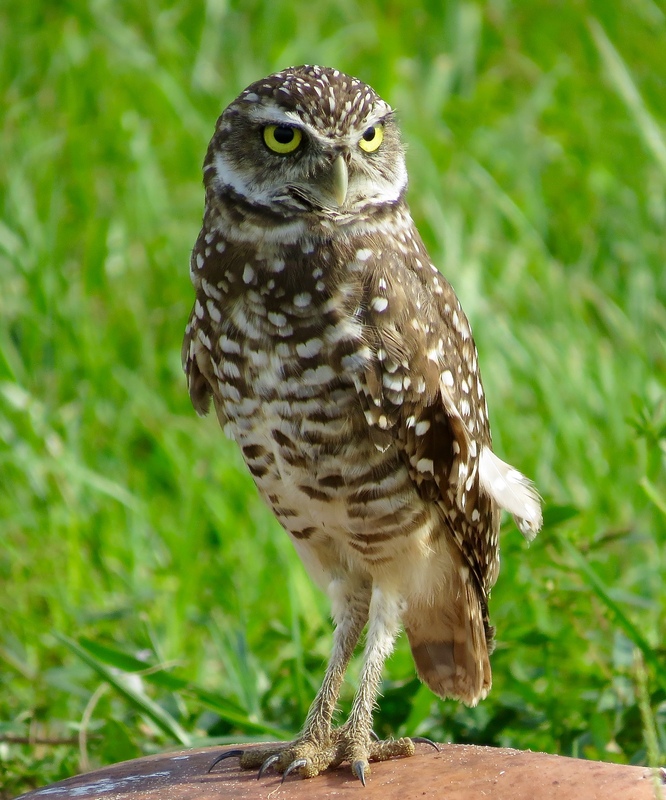 For more interesting facts about Burrowing Owls, see All About Birds and Audubon. 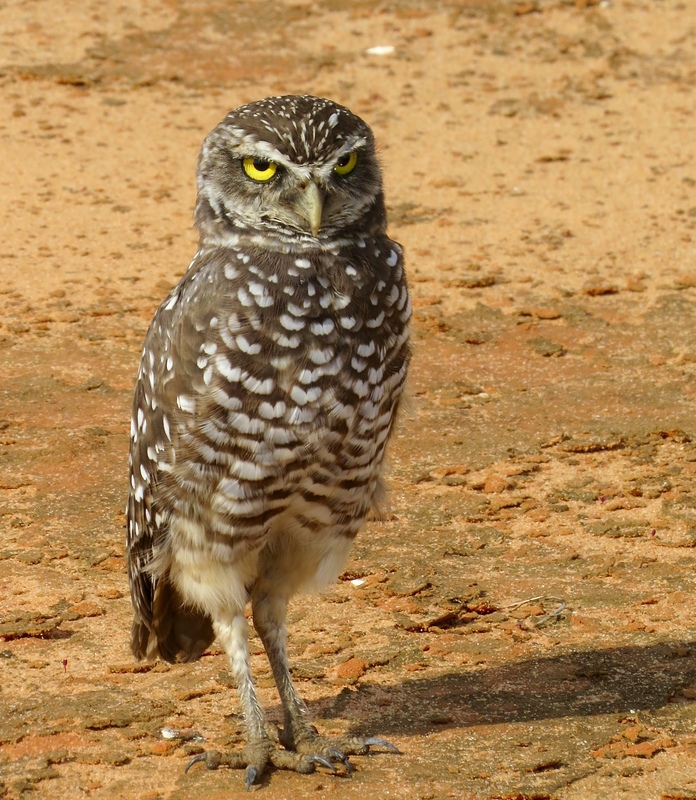 This entry was posted in Birds and tagged Burrowing Owl. Bookmark the permalink. Thanks for the recommendation, Mike. I’ve been looking at the book in the bookstores and on my Amazon wish list for awhile! So are we, and so glad they are really protected! Yes, those eyes are amazing, aren’t they? These owls are so photogenic! How very interesting, a great tick for local conservation of a species, and what a beautiful owl, thanks for sharing its story BJ! Yes, it’s a nice feeling to see how committed they are locally. Thanks for coming to visit and reading my post, AB! They are cute, but yours looks a bit like it means business. I wish we had them here. I have been seeing the babies on FB though. I only knew these were so close by because my husband umpires baseball games for the school district, and told me the Field was closed because these owls were protected! Good you were told they were there. The photos are really good. Love the burrowing owls! How lucky! I do, too! Yes – very lucky! תודה רבה! חושבים על כולם בארץ …. שבת שלום.